At the beginning of the eighties, a new kind of Heavy Metal music coming from the USA spread over good old Germany: THRASH METAL ! At the beginning of 1986, the band already launched a second demo tape. Under somewhat bad studio conditions the songs “The Evil Curse”, “Hear The Cry”, “Iron Force” and “Kingdom Of Death” were recorded on a tape called TITANIC WAR. The band consequently received good reviews without exception and sold over 800 copies before the end of that year. Compared to today, that was an outstanding achievement! Then there was a major change: suddenly Lacky and Olli, the latter had joined the band shortly before, were the only band members. But then, they quickly found a new qualified band member in their circle of acquaintances: Bruno. After Pierre was enticed away from a band they were on friendly terms with, the line-up was complete again. New songs were written and immortalised on the demo tape “Spawn Of The Dark One”. A short time later, Arnd boarded the ship and the journey began. An American label made the offer to release three songs of the last demo tape on a sampler. For this purpose these songs were recorded anew in a studio in Duisburg and send overseas. Besides, the band added another new song to these songs and sent them to national record companies. Then, they received the award of contract of the label GAMA Records from the south of Germany. In 1987, the debut LP “Death Squad” was released featuring an intro and 8 songs with a running time of something more than half an hour getting to the heart of the music. The first LP was sold worldwide and paved the band’s way out of the underground. 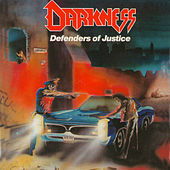 In 1988, the second LP “Defenders of Justice” followed. The first bass player Bruno quit the band, but they quickly found an appropriate substitute in Thomas. But, as soon as he gained a glimpse of the big wide world, he left them to play for the band “Holy Moses”. Although countless live shows followed, planned tours did not take place again. Unfortunately, agreements with the band “Dark Angel” had to be cancelled due to an accident of their musicians. An agreement with “Wehrmacht” also came to nothing and a joint tour with “Kreator” failed to take place because of insufficient financial support of the record company. After many internal problems and changes of band members, the band decided to break up at the end of 1988. A last concert at the “Zeche Carl” (Coal Mine), a youth and culture centre in Essen, was supposed to put an end to “Darkness”. 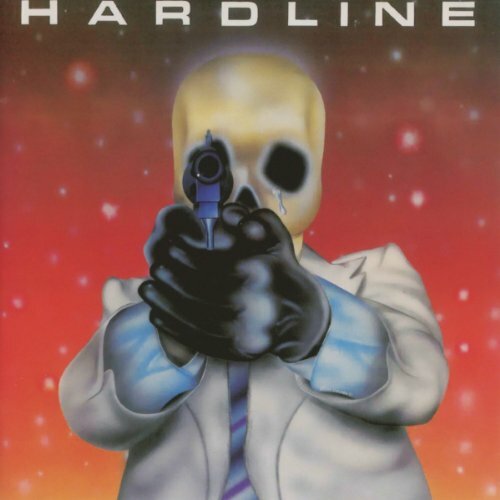 Despite the split the record company insisted on a third album and due to this the original band members Arnd and Lacky and the bass player Timo changed their minds. They brought in the new singer Ray and wrote new songs. The last album “Conclusion and Revival” was supposed to mark the end and a new beginning at the same time. After the release of the LP, they realised some concerts and finally toured through Europe with the band “Mucky Pup” from New York. But on this tour new problems developed which could hardly be overcome, so that the band was hit by the “bad curse” some time later. “Darkness” broke up! Today some of the original members are playing in a German Thrash Metal Band called EURE ERBEN. They’re playing old Darkness songs with german lyrics!